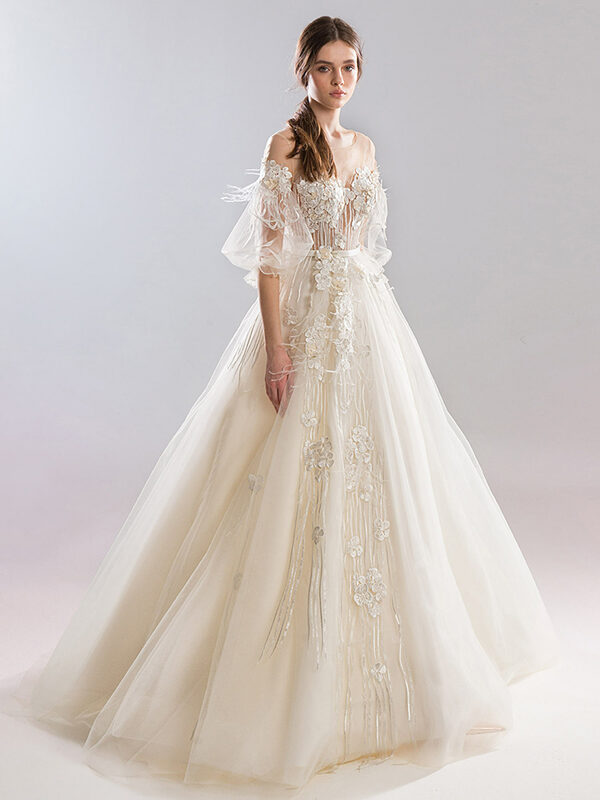 Fairytale inspired, this dramatic ball gown wedding dress with bishop off the shoulder sleeves and embroidery throughout is the perfect look for the big day. 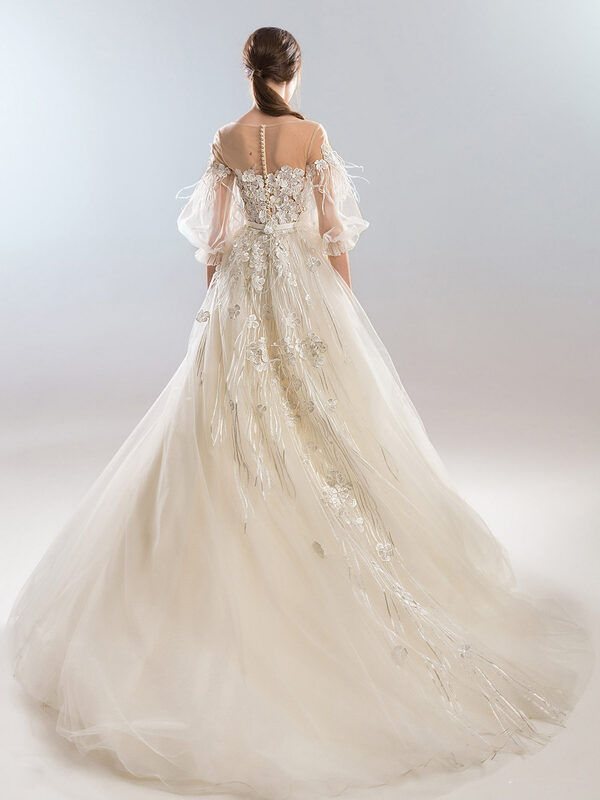 The dress features an illusion neckline and 3D floral embroidery throughout and feathers along the sleeves and down the skirt. The look is complete with buttons up the back.